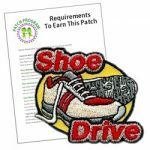 “Coat Drive” Service Patch acknowledges your group’s participation in helping the needy by organizing or participating in a Coat Drive in your area. 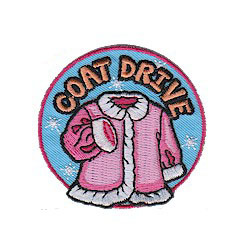 3 reviews for "Coat Drive Service Patch"
Very cute patches! Our Daisy Scouts were very excited when they saw these! 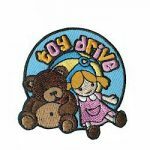 Ordered this patch for my Girl Scout troop who ran a coat drive. 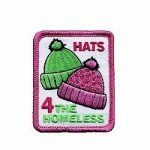 How else to express their wonderful efforts than with this adorable patch. Quatlity and cost, one can not go wrong. I looked everywhere and this is the cutest coat patch I found. It’s cuter in person than online. Great size and quality!